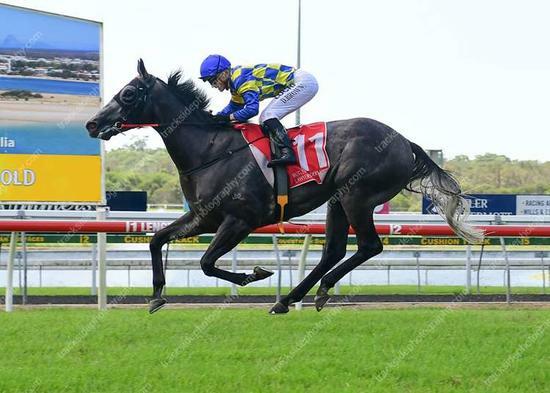 Supernormal broke his maiden status at the Sunshine Coast in winning the 1400m E. Designer Colts and Geldings Maiden Plate. Starting from a wide gate, jockey Damian Browne drove the Commands gelding to the front and despite given no piece in the lead was able to kick clear turning for home, going to the line strongly to win by 1.5 lengths. Chris Meagher was also pleased with the effort. " He ran super and finished off very strongly, which is really what we wanted to see from him. It was also great to win another race for our long time supporter Neville Bell of Kilto Park. The horses in Brisbane have been going very well, with 10 out of 11 runners collecting a cheque since February 1. So a lot of credit must go to Andy and the staff as they have been doing a tremendous job."